Join Fair Oaks Farms at the Farmhouse Restaurant to ring in the new year with a luxurious night beginning at 7:00 PM. Tickets to this all-inclusive and extravagant New Year’s Eve celebration may be on the higher end, however the $125 tickets will include live music as well as a DJ, a premium bar package, and an amazing menu that will include items such as prime rib, rack of lamb, whole roasted pig, and much more! Click here for tickets and more information. Shoreline Brewery in Michigan City will be hosting their New Year’s Eve celebration with “The All Good Things Band” and a “Happy New Beer” at midnight included in the ticket purchase! This 21+ event will begin at 9:00 PM and tickets will be $10 at the door. Visit www.shorelinebrewery.com. 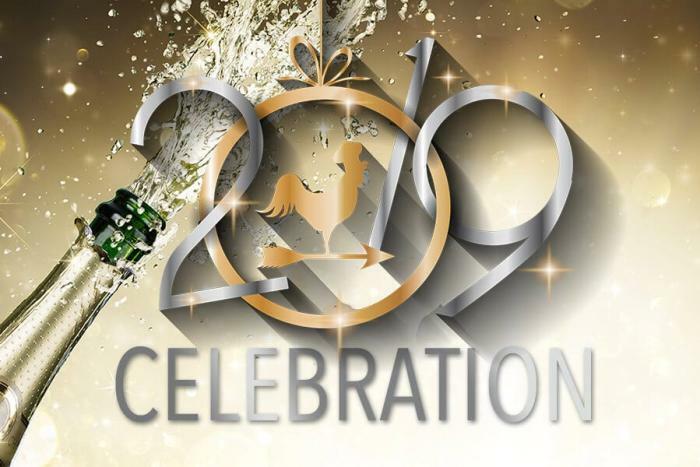 Majestic Star Casino and Hotel will be hosting an exclusive 21+ New Year’s Masquerade Ball at the Lakeshore Lounge After Dark which is located in the casino. There will be live music, drinks, complimentary champagne toast at midnight, and masks for purchase. Tickets will be $40 to $75 and can be purchased here. Misbehave this year and join Misbeehavin’ Meads in Valparaiso for a party to ring in the New Year. There will be special drinks, hors d’oeuvres, and other goodies at this event. Tickets will be $25 per person and can be purchased in the shop! Celebrate New Year’s Eve in style with this 21+ event by Signature Banquets in Lowell. They will be having hot and cold butler style appetizers, a family style dinner, 5-hour premium bar, unlimited wines, party favors, balloon drop, and a champagne toast at midnight! Tickets will be $65 and can be found here. The frozen plaza at Deep River Waterpark will be hosting a family friendly New Year’s that starts and ends early for the kiddos! 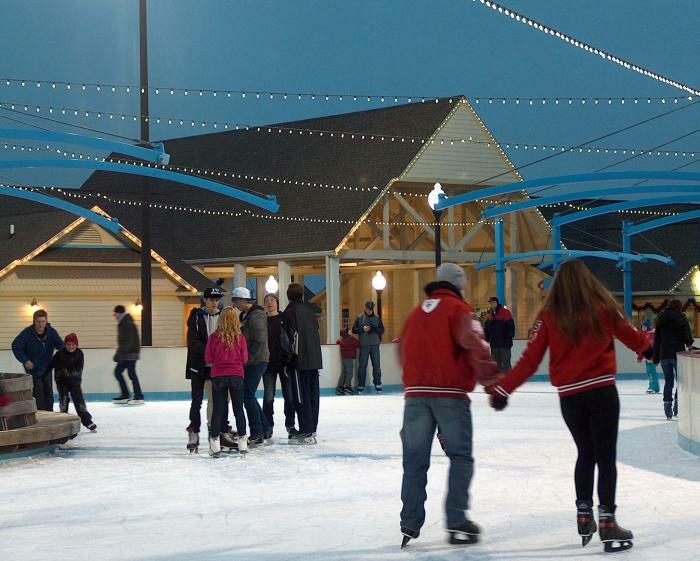 From 5:00 to 10:00 PM join Deep River for a New Year’s Eve celebration on the rink. It will be $5 plus skate rental per person for ice skating and there will be concession items for sale. At 8:00 PM there will be a countdown and a toast with sparkling juice so everyone can enjoy! Visit here for more information. Celebrate the New Year somewhere your kids will love! Bellaboo’s Discovery and Play Center just off I-65 and I-80/94 in Lake Station will have a countdown to a Big Balloon Drop at 2:00 PM. Come early to “get glittery,” practice your toast making, and make some noise! There are no ticket requirements for this event but there will be regular admission prices. This family friendly New Year’s party in Whiting will include fireworks, live entertainment, food vendors, beer garden, and the infamous 10-foot illuminated Pierogi dropping 90 feet at midnight! Ticket’s to this Pierogi party will only be $5 for adults and FREE for children less than 17. See more about the event here. Sing in the New Year in Munster with Theatre at the Center’s new production. Evan Tyrone martin plays Nat King Cole as he relates Cole’s musical journey from his upbringing in the Chicago church, to shuffling along the jazz scene, to becoming a music icon! Tickets for the show will be $45 and will run from 6:00 to 10:00 PM. Click here for tickets. Check our events page here for newly added celebrations...and Happy New Year from all of us at the South Shore CVA!